Overusing Cellular date even though I thought I had “unlimited”, help? Hi, I have Sprint and for some reason assumed unlimited data. Today I tried searching something in Safari and it wouldn’t let me. I have screenshots bellow. Currently at home on WiFi, I’m off of work and have bronchitis so even though I’m sick my time outside of WiFi coverage will be limited. Any assistance to prevent this in the future welcomed. I’m on Verizon, and in that case “current period” means “starting way back when this phone started counting usage” – in other words – “current period” is months or more. It is not the “current billing period”. 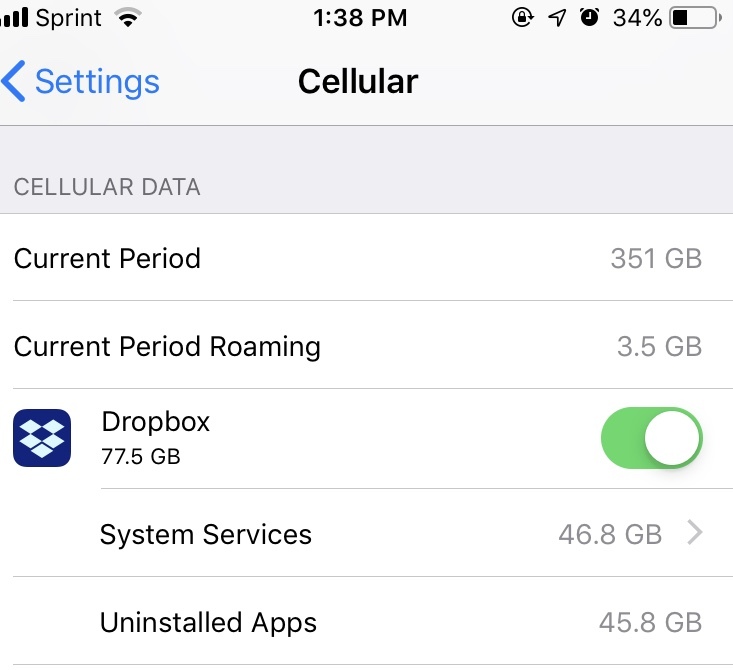 Your carrier might have an account page that gives you details for the data transfers. SO does that mean I have to not use much data or not worry about it? I’ll also start using my work WiFi which will help. You’ll need to look at your carrier’s app and/or web site. Carrier limits aren’t integrated with the OS as far as I know (having been on four carriers in the past year). I think it means you need to do what @dfay suggested – look at your current usage on your carrier’s web site. I wouldn’t trust what the phone reports. Checkout an app called DataMan. It monitors your usage each month and calculates whether you are green, yellow or red in terms of using your data allowance in the month. 50% of data used in 5% of the time = red. 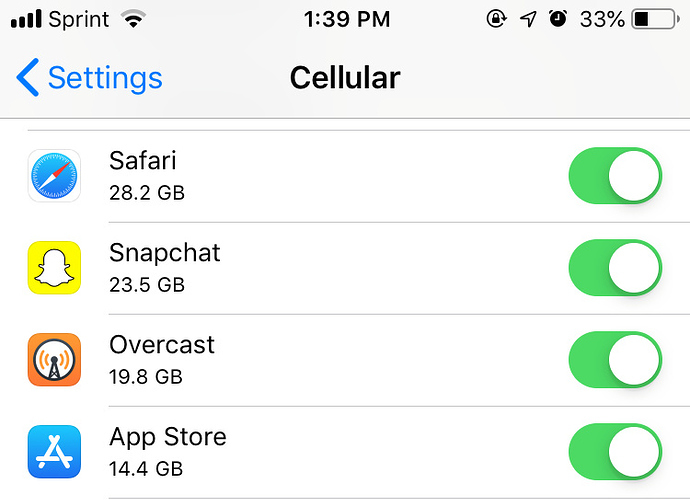 How does it go about monitoring your data usage? Does it route all of your traffic through a VPN so it can see it? the appstore preview says uses the data that apple gathers. I suspect that it captures the apple reported usage at the start of your plan month and then tracks the wifi and cellular data used from that point. Next month it starts again.